sigh, I must be a glutton for punishment! Melissa at Must Read Faster is hosting a personal Read-a-Thon and has opened it up for anyone who wants to join her. I'm jumping in a little late but I'm hoping to read 1,520 pages, which was my goal (missed) for the last RaT. I know I finished something Monday morning but I'm sure it was before 7 a.m.
hosted by the Introverted Reader, sign-ups and more information, here. The main thing to know... read non-fiction. Any and all non-fiction count. and hope to read 6-10 non-fiction books. The good news is that I've already completed the requirements for Dilettante! wow, I didn't realize I had read six! That's okay, the memoirs I need to read for another challenge will count here plus I'm hoping to read a couple more fitness/running/health type books. Dare I hope to read 11? Big Book Summer Challenge ends Labor Day Weekend. I'm going to take that to mean Midnight on Monday. I have no idea if I'll be reading more 400+ page books between now and then so I'm closing out the challenge. That was fun. Usually the big books are 500+ pages and I miss out. Summer Read Challenge ends August 31. 1. A book in an unfamiliar genre. Nope. maybe Steampunk? 3. A book that your friend or wider society has been raving about! Nope, should have been Divergent but I haven't finished it. 4. A book that ‘could’ [This category is open to your interpretation*]. Consent to Kill by Vince Flynn. Hey, it could happen! We'd never hear about it but it could. 5. A book from the Modern Library's 100 Best Novels List. sigh, this has been on my tbr list for years! 6. 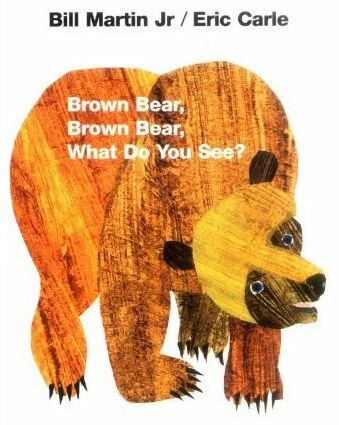 A book that reminds you of your childhood. Amy's Adventure by Mark and Victoria Freeman. Amy moves to the country were she has lots of freedom to roam and animal friends. I may not have been in the country but we did have rabbits and I had lots of freedom to roam. As long as I was home when the street lights came on, or soon after. 9. Bonus: A blog turned book or book turned blockbuster movie. The Blind Side by Michael Lewis. I liked the movie better, the book had too much football stats/background for me. 10. Bonus: Free Choice! Memorial Day by Vince Flynn. 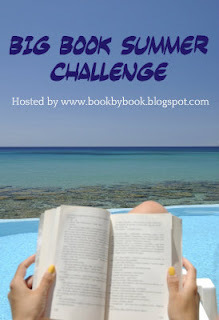 Summer 2012 Book Challenge ends September 1. This one was by point values. I did horrible. I only got 80 out of 200 points. 5 points: Read a book chosen for the U.S. 2012 World Book Night. 10: Read a book you were supposed to read in school, but either bailed on or Cliff-Noted. 10: Read a memoir or narrative nonfiction book. 25: Read a book about which you’ve heard bad things. The calendar may say these are not over yet but my stress levels about them say they are. Fun but... not during the summer. I don't seem to have as much reading time during the summer. I'll spend some time reading each day? Check. I usually spend hours reading each day so when I say I was able to read 20 pages? I was busy! To read at least half of what I did last week? No. - My goal was 1,520, I missed it by 153 pages. I had time to knock it out but didn't really feel like reading. Visit ten other participants? Check? I did visit but with Pick Your Thon going on too I may have overlapped....next time, keep track of who you visit! Challenges? Check. Passing Books and The page 99 Test. Also, Introduce Yourself. Thirteen print books stacked by my reading chair. Most of this stack was left untouched. I have no idea how many ebooks I've got that are started that I could have read. nothing wrong with any of the books, all will be finished, just restless this week. Overall, I had a great time and am looking forward to next time. I do have some changes I want to make: visit more (and keep track of who), more challenges, read more and do a couple of reviews. A Big Thank You to Amanda and Kelly! What books are on your shelf waiting for "Someday"? I follow The Boston Bibliophile in my blog roll. The title of her post really caught my attention, "Someday" Books or Literary Dust Bunnies. Her post was a jump from The BookArista but Literary Dust Bunnies came from Marie and really hit me. Can you see them? Those thick ones. Or just an uncomfortable subject. Recommended but forgotten. Sitting on the top shelf where you always see them but never look. Did you just see a tail? I commented that Life of Pi is one of my dust bunnies. I'm sure I've still got it, it sat there forever, falling deeper and deeper into the dark recesses of the book shelf. I saw a movie trailer for it recently, a MOVIE trailer! Under the Dome, The Count of Monte Cristo, Atlas Shrugged. I wonder what other treasures I'll find when I deep a little deeper. What are your Literary Dust Bunnies? So my graphic isn't really a dust bunny. It should be scary to all that own books (or any paper for that matter). Laura M. Haight and recent discoveries in Eletromagnetic Mycelia reads like science fiction and I'm not smart enough to know real from fake. Head over and take a look at some of her other photographs. My question is, how were the books left alone long enough for the fungi to get so big? I hope I'm protecting my treasures better! I did horrible this time! I wanted to review one book and didn't even open it! I did touch it, moved it on top of my reading stack but that's as far as I got. I have gotten some reading done (Bout of Books overlaps), visited some and did a challenge so the week wasn't a complete waste. I am thinking that I should skip the RaTs when I say I'm going to be off-line when they're happening! I've got a little time to catch up on my reading but it really isn't looking like I'll meet my pages read goal. If I get in gear, I'll be close. . . need a book to hook me in! I did stop at Danasquare to do a Mini-Challenge... Choose your favorite cover of a book you are reading or reviewing and explain why it's your favorite. I commented that The Eighty-Dollar Champion was a favorite because it has a horse on the cover but I was sure I'd find another favorite once I looked at all the books.... Yup. I'd love to sit and read on the front porch of A Killer Read. Finished another book but have lots more pages to go before I'm close to my page goal. Still haven't finished touched Code Blood by Kurt Kamm. I have visited several bloggers and tweeted that I finished a book. Woo Hoo! I DOUBLED the pages read from yesterday. Yeah, that right, I read over 40 pages today. Fifty-two actually. I didn't play volleyball, several of the girls couldn't play so we put it off until next week. Which was a very good thing, my knees hurt and I didn't buy knee pads. I've got time to pick some up before next week. Review-a-Thon goal: Finish and review Code Blood by Kurt Kamm. Progress? none. Read-a-Thon goals: read twice as many pages as Summer Wrap-up (3.041 pages). Visit ten bloggers. Tweet updates. Progress: Way behind in the page count. I did a challenge so that counts as a visit, right? Tweeting too, so I guess I just need to get busy with the reading. Tomorrow is my 27th Anniversary. Dinner out on Friday will take away some of reading time (only if I want to look really nice) but I should be able to read most of tomorrow. Hosted at The Stephen King Challenge Blog. Sign ups and more information is here. The Hitchhiker’s Guide to the Galaxy series is composed of 5 books. It is summer time already. I have heard that the series is fun to read so I will try to read at least 3 books from the series in two months but I don’t want to bore my prospective participants so the read-a-long will run from July 1, 2012 to November 30, 2012. To sign up, please read the general rules below. Then, post about this read-a-long on your blog, including the button above, and don’t forget to link back to The Hitchhiker’s Guide to the Galaxy Read-a-long page on my blog! Anyone may join at any time. Just leave a comment below with the following info: Name / Blog (if you have one) / # of books you plan to read from the series I’ll comprise a list with everyone and add it to this page. Updates on the read-a-long will be posted each time I finish off a book from the series and you may then comment with your own progress and add a link to your review if you like. I've read the series many time but it is always fun and I know where the books are so I'm going to jump in with the first book. edited 8-26: I was wrong about knowing where the books were. Took me a while but I found the omnibus of five books and the hardcover of Mostly Harmless. Ready to go! Today was not a good day for books. Tomorrow doesn't look good either. Today, I spent some time on the treadmill then 30 min on the weight machines. I ended my day with 90 min of volleyball. I didn't take knee pads (we played inside) and played barefoot. I've got scrapes on my knees and the tops of my feet, knees are banged up some too. Silly me, I'll be playing volleyball again tomorrow after going shopping and to lunch with my Mom. Maybe I'll remember knee pads. Did I get any reading done? Yes. Yes I did. Twenty pages. Yikes! 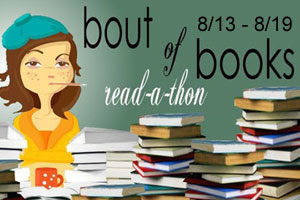 The Book Monster's Pick-Your-Thon has already started! Sign up here, but hurry! 1. I'm going with both. I'm already doing Bout of Books but hadn't planned on actually reviewing anything. Might as well overlap my reading and also review something. 4. I've got a huge stack by my reading chair and need to add The Big Kitty and A Killer Read to it. Code Blood is what I'm hoping to review this week. 5. I'm hoping to review Code Blood this week. I'd like to finish up a couple of challenges but since I was planning on being offline this month I don't really have a plan. A Natural Father by Sarah Mayberry bound with Edge of Forever by Sherryl Woods. Today's challenge can be found at Reading in Texas. The challenge is also hosted by The Space Between. To enter this challenge, tell us what happens to your books after you have read them. More details/rules at both sites. I like to re-read my books so most of them are shelved (or boxed). I'm using LibraryThing to help keep track of them but my account is not up-to-date. If I know I won't be reading them again, they are given to GoodWill, the library or friends. I once left two at the hospital. I use to trade them in at a used books store. Recently I gave about ten to a BIL to take home so he could trade them in or leave them at work (SO works at a hospital). I do have RL plans for this week but no wedding to attend or trips coming up. Plus I'm still trying to be offline so even with lunches, shopping and starting a running program, I should be spending a lot of time reading. This is where I'll update my reading but I'm sure any challenges I complete will have their own pages. books taken on vacation but not finished plus books started and stacked by my reading chair. . .
A lot of things interfered with my full participation in this read-a-thon, mainly I had planned on being offline this month but there was a wedding and other stuff. Being offline meant I was able to spend a lot of time reading (stupid FB games) but will look forward to participating more fully next summer. I finished a book I had already started, more than half of the book was unread so I counted it as a full book. The half book is because the binding (and current ISBN) was a two title book and I only read one of them. Several of the titles are short stories but with their own ISBN so they were counted as a full book. One of the books was nonfiction and one was a re-read but the sequel was a new read. I don't know if I'll read the other book in the Edge of Forever binding before Midnight. Please see my original post for a list of books read. These are the books I took on vacation. . . These are the print books stacked by my reading chair. . . This is not the first book in the series. Doesn't it read like you're missing stuff? Sort of. I know stuff happened in the character's lives before this but enough is retold that I didn't feel like I was missing out, I want to go back to the beginning of the series! As for the book itself... I liked enough to read more in this series but not enough to read this title again by itself. The story didn't seem forced. I liked the twists. Hated a couple of characters, loved others. I'm ready to bake ;) This isn't a heart-stopping action story but parts did have my heart pounding. I've done really well so far this year but it's time I consolidated, and separated. For example: most of my paranormal challenges are complete, except for reading one more Fairy book. Cruisin thru the Cozies, 3 more, only one more! Read 52 Books in 52 Weeks, 52? Check. Going for one a week! dang, missed a week! Getting Lost in a Comfortable Book, 5 from list - my own challenge and I've read nothing for it! Books Read in 2012 . . . .
150+, One Million Pages, Big Book Summer, Summer Reading Challenge? I've heard say that America is a melting pot. Well, I'd prefer we were more like a stew. We'll simmer until our flavors blend together while we remain true to ourselves at our core. Does that make sense to you? Come to the front door, bring the best of your old home to your new home. Share your old home "flavor" will us but blend in with your new home. I was excited when I received the invitation for this blog tour, it sounds like the author agrees with me. I was disappointed when the time was didn't work. At least I can spotlight the book and advertise the tour. Blog Tour Schedule, there are lots of giveaways too! by Haskell G. Edwards, D. Min. Description: Adaptation is a must. But how does one go about doing this? It takes great planning, finances, and courage to leave one's homeland; but then finding support and comfort or anything of familiarity in a new land presents a whole new set of challenges. The stress is overwhelming. How do you gain the happiness and success you dreamed of attaining in the new land? Immigration and Adaptation is here to help you navigate through these challenges. With the information herein, immigrants coming to North America will be prepared to identify and resolve social, family, and personal challenges with confidence. Mr. Edwards' vast professional experience with diverse immigrant families, as well as his own personal journey and genuinely encouraging approach, not only help immigrant families adapt to new surroundings, but grow stronger together in their journey. Immigration and Adaptation also includes tips on: building self-confidence, resolving conflicts, tuning communication skills, networking and building social supports, budgeting, parenting, enhancing spousal relationships, helping teenagers adjust, communicating effectively, and more. Currently available at amazon.com, Barnes and Noble, Books a Million, and as always, check your favorite bookseller. Haskell G. Edwards, D. Min. has vast professional experience for more than forty years as pastor, administrator, family therapist, and director of a family therapy center. His extensive experience gained from working with immigrant families in a multi-cultural, multi-ethnic setting, as well as his own personal journey and genuinely encouraging approach, positions him not only to help immigrant families adapt to new surroundings, but grow stronger together in their journey. He has successfully held immigrant seminars, workshops, and lectures throughout North America. Now a retired pastor, he continues to help immigrant families of a wide cultural heritage transition into their new homeland. I'll be unplugged so I have nothing complicated. Just leave a comment with your email. Deadline: August 25!